The Marussia Formula One team, thought to be dead after a string of financial problems at the end of last year’s world championship, have a chance of making it back onto the Grand Prix grid. The team plan to emerge from an administration period on February 19th with a new group of investors which would help to put them on the grid for the Australian Grand Prix on March 15th. Marussia, now under the name of Manor GP, started to spiral out of Formula One following their home Grand Prix in Russia back in October, one week after the tragic accident of their driver Jules Bianchi. The team announced after the Sochi event that they would not race in the following United States or Brazilian Grand Prix. They remained hopeful of a return for the season-ending Abu Dhabi Grand Prix, which they almost accomplished until a key investor pulled out just before the team were due to fly out to the Yas Marina circuit. Possible investors have been rumoured, with the list including former Sainsbury’s chief executive Justin King and even the McLaren F1 team, who may want to use the team as a ‘B-team’ to help develop the new Honda engine. If Manor/Marussia were able to compete in this year’s championship they would have to compete using last year’s car due to the fact that they have hardly any time to make a new car or to test it; which would be allowed providing that the team modify the car to be in line with this year’s regulations and if the other 9 teams on the grid agree to let them do so. You would think that the return of Marussia would be welcomed by all the teams, who would gladly agree to let them use their 2014 car so that they can race. This is not the case however. When Jules Bianchi famously scored his and the teams first championship points after finishing 9th in last year’s Monaco Grand Prix, he secured a £40m sum of prize money that would be paid to the team provided they race in 2015. 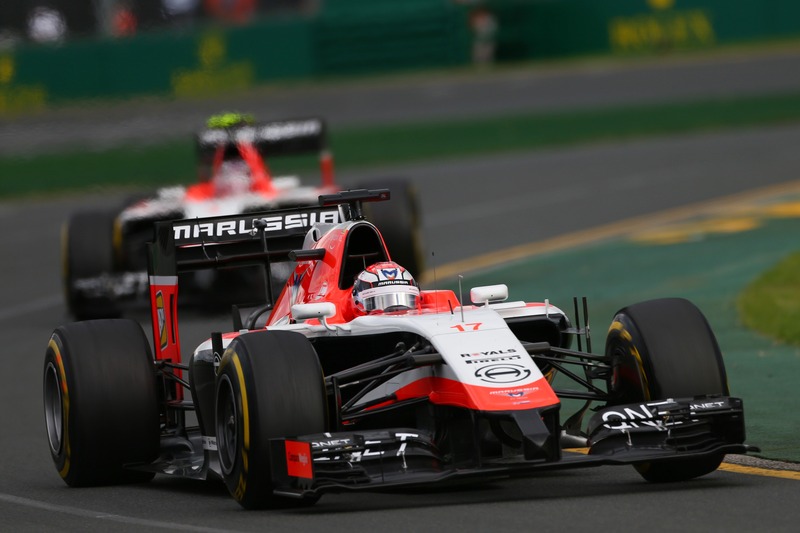 If Marussia were unable to race, the prize money would go to the other teams. One team, who has not been named at the moment, have already expressed their disapproval at allowing Marussia to race.